Vacuuming your own home is very important for maintaining good hygiene as well as a good form of exercise. However, when you are elderly, it can get quite tricky. Lightweight vacuum cleaners can be a better choice for older people. 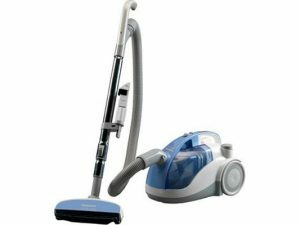 If you are searching for the best lightweight vacuum cleaner for elderly, here is our selection. After hundreds of hours of in-depth research and testing, we have chosen the Hoover Linx Cordless Vacuum Cleaner as our top pick. This one ticked all the boxes and proved to be the best lightweight option out there. You can read our full review further down in this article. An easy to operate, cord-free vacuum cleaner, the Hoover Linx cordless vacuum cleaner is a top pick amongst best vacuums for senior citizens just because it is lightweight, easy to use, can reach under furniture very quickly without having to move and shift things around. Not having to drag a cord around is a big plus. Each charge will provide around 15 minutes of work time, after which you will have to recharge the Hoover to continue using it. However, there is a very easy fix for this. You can simply purchase another Lithium-ion battery and replace it with the drained out battery. Then, simply charge both batteries together to save time the next time you clean! Although to be honest, not many old people will vacuum more than 15 minutes. One of the most convenient vacuum cleaners for the elderly to use due to its cordless design. Click here to check the current price on Amazon. 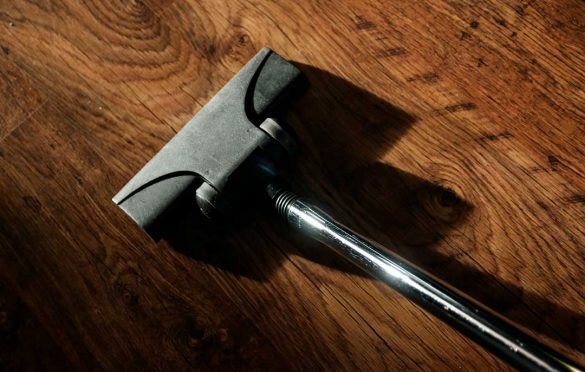 A versatile vacuum which works as beautifully for your floors as it does for your ceilings. Several attachments for different cleaning needs. The Shark Rocket is a handy, lightweight vacuum for the elderly. A unique vacuum cleaner which does not ever lose its suction power, the Shark Rocket is a perfect match for elderly individuals who wish to keep their homes from the top ceilings till the bottom floors completely spick and span. Click here to check the current price on Amazon. 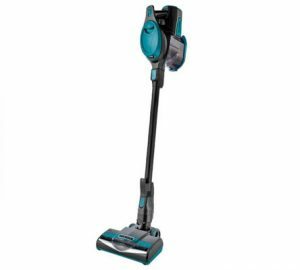 We have three other Shark vacuum reviews in this post. Elderlies can often have a hard time dragging around a heavy vacuum cleaner, or even continually bending down to switch the cleaner on and off. This is why Oreck has designed a vacuum cleaner with special features to help out the elderly, making their regular vacuuming sessions much more comfortable. Amazing suction power for such a small and lightweight machine. Click here to check the current price on Amazon. 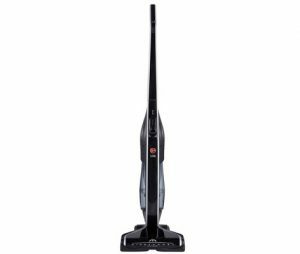 A 2-in-1 vacuum which lets you use the advantages of 2 types of vacuum cleaners in one. You can use it as a stick vacuum or a handheld vacuum. 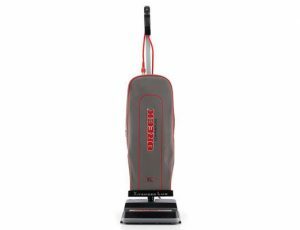 Bissell’s Featherweight vacuum is a great versatile and lightweight vacuum cleaner for the elderly. Bagless design; simply vacuum and empty the debris to use again! A featherlight model which is perfect for senior citizens to use and gain some independence when it comes to taking care of their own homes. Click here to check the current price on Amazon. A powerful suction, HEPA filter, easy to maneuver swivel and a bagless design is what makes the Panasonic Bagless Vacuum Cleaner such a popular choice amongst older people. Most vacuum cleaners can be quite tricky to maneuver with their long cords which easily get tangled up with your feet. The 360-degree swivel hose has been developed while keeping in mind this issue that elderlies might face. The container must be cleaned out regularly otherwise the suction power is not optimal. However, this is a tiny issue, as emptying the dirt container is very easy and convenient. It can be cleaned after every use without any hassle, and you can enjoy a full suction power on the vacuum cleaner every time! A bagless and hassle less vacuum cleaner, the Panasonic vacuum cleaner is really quite convenient to use for senior citizens. Click here to check the current price on Amazon. Well, this depends on the person using it. If you are a strong and big person, there is a bigger pile to choose from. In general, any vacuum that is lighter than 4kg is considered a lightweight vacuum. Upright vacuum cleaners can go up to 6kg as the most weight is transferred to the floor it stands on. Alright, you’ve already seen my top 5 lightweight vacuum cleaners, but now you can’t figure it out which one of these 5 you want to buy? There are a few things you need to take into consideration when making a final decision which I will go through in the following chapters of this mini buyers guide. 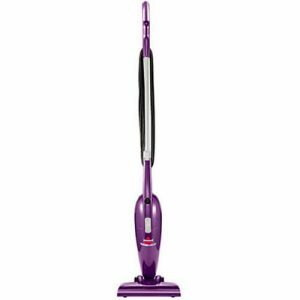 Upright Vacuums – They usually tend to be a bit cheaper than the canister vacuums and work better for deep carpeting. Especially the bagged kind of upright vacuums. Easy to store in tight spaces. The negative: some of them can be on the heavier side and a bit more noisy than the rest. Canister vacuums – These are great for cleaning bare floors or stairs. Canister vacuums can easily reach under furniture (something that most upright vacuums can’t do), are great for cleaning the drapes as well as upholstery. The negative: the big part where the storage and the machine is can be annoying to maneuver. Also, these tend to occupy more space when storing. Stick Vacuums – Similar to the upright, just a bit smaller and lighter. These are the lightest options you can get out there. Most of them are battery powered. The negative side – not as powerful as the other two types. This is mainly due to personal preference. Both will do a great job. The only thing you need to care about is the dust that is being released in the air. Bagless vacuum cleaners tend to release some of the dirt back into the air when being emptied. If you have a family member that suffers from allergies or asthma, this is something you will need to take into consideration. How many people you have at home and how often they move around will determine the type of vacuum you need. Going barefoot or with shoes that you use outside is also a factor. High traffic in your home will make your carpets and floors dirtier, and you will need a more powerful vacuum that you will use on a regular basis. Natural fibers are usually more gentle, so you must be careful when cleaning. You need a vacuum that is not extremely powerful. Make sure the add-ons to the vacuum cleaner are not too aggressive. If you have a synthetic fiber carpet in your home, you can be more aggressive. They are more resilient to any torture while cleaning. Also, make sure you check the manufacturer’s instructions for cleaning. Each carpet is different. This is where the customer reviews on Amazon come handy. On every product, you can see tons of reviews from real users. At least for me, this is the most relevant source of information when it comes to quality. Every manufacturer says they created the best vacuum ever, but the truth comes from the customers that are using the product. Another thing to have in mind, check the warranty length. The longer the warranty period, usually means better quality. This part overlaps with the cord vs. cordless vacuums. If you have a big house with a lot of rooms, or you need to vacuum more often due to heavy traffic, you will need a cleaner that has a bigger capacity. You don’t want to empty it a few times in one day. Ask yourself where are you going to keep this vacuum. If you live in a small apartment maybe get a smaller vacuum that doesn’t take too much space. Check if it fits your storage space dimensions. You can see the dimensions in the description of every vacuum cleaner. Pick the one that has the accessories you need. To be honest, there are just a few out there that you will ever use. Don’t go for stuff that will only take up more space. If you want to save a few bucks here is our selection of the best vacuum cleaners under $50. The thing I don’t like about the Oreck is that you have to have a separate unit to do upholstery, corners, window sills and such. I’ve been looking at the Bissell Stick for quick touch ups. Love the price! Yes that is an issue with the Oreck. In my opinion the best of the best it the Bissell Featherweight. Light and versatile. Plus as you say, it is a bargain. oh great…Thanks for grateful information. For elderly people, they’re best of getting a very lightweight stick vacuum. They’re powerful and only weigh about 2kg . Very easy to use.